What is the worst new show of the TV season so far? I wish I could be writing a post about the best new show of the season. Sadly most of the new shows are so poorly written and utterly uninteresting I cannot do that. Every TV season there is one or two shows that no-one can believe are on TV, then there are the good shows that become hits, the average shows and the shows that are good but nobody watches. That is how it usually goes… however this season; all the new shows are striving to be the worst in every possible way. And that’s pretty much it… The rest of the new shows are so preposterous and badly written it makes me want to cry. I am sure there are thousands of writers and millions of scripts floating around Hollywood that would have made much better TV. This is the number one show… if we are talking about number of negative reviews; I was almost hoping it would be good just to be contrary. But it wasn’t. Unlike most people I actually thought the premise was kind of cool: A doctor involved with the mafia forced to do questionable things. I had a picture of a good woman in difficult situation, similar to Tara in Sons of Anarchy. I love Jordana Spiro and I thought she was perfect for the role of a strong female. However her character is awful, the whole “mob doctor” comes from a girl working with a mobster to repay a debt from her brother. It just doesn’t add up. The pilot was all over the place. There were a million things going on at once, none of which were remotely interesting or even coherent. It wasn’t gritty, it wasn’t heartfelt, it wasn’t funny, it was probably a failed attempt of being all that. The cast was really good and a good script could have made it a good show even if most people feel the premise was stupid. Update June 11, 2013 If you browse the rest of my site you will see that I did a complete 180 regarding this show [It has become one of my favorite shows of all times and current TV obsession]. Basically I don't agree with ANYTHING I wrote here anymore. However I like to keep this review up as a sample on how first impressions can be misleading and completely change with time. I am sure that if more TV critics had continued watching they would agree with me and the general opinion would be much more positive. Another show that doesn't make sense. I get that it is a CW show and it is targeted to teenagers, but that doesn't mean you can just put pretty people on the screen and hope for the best. And talking about pretty people, this is called “Beauty and the Beast”… where is the beast? Vincent looks like he came out of an underwear catalog! Yes, he has a couple scars on his face and every once in a while he experiences hulk-like episodes… but come on, he isn't anything but hot. And to make things more unbelievable, Kristen Kreuk is a cop… OK… she looks like she needs to walk with rocks in her pockets on a windy day. I don’t really see why she had to be a cop… she could have been a lawyer, a forensic doctor or a reporter if they wanted her close to crime scenes. Putting all that aside the pilot was so boring! Scenes seemed to run forever and they were too staged, there wasn't any real emotion to connect with and the dialogues were lackluster. I couldn't wait for it to be over. What the hell is this? That is what I thought during the entire time I watched the pilot and I still can’t figure it out. I don’t even know how to review this show because I can’t wrap my brain around the fact that it is on the air. If you thought The Mob Doctor had a ridiculous premise, how about a show with aliens living in the suburbs. It sounds like a bad sitcom from the 1950’s and it sure feels like it too! The jokes are outdated and campy; the whole setting is corny and not edgy at all. What makes it even worse is that this show isn’t even doing so badly (ratings wise) and it will probably get renewed. I feel that there should be a law against this sort of thing, prevent TV terrorism and whatnot. I painfully sat through this after the Olympics. IMDB describes it as a show about an animal loving veterinarian who despises pet owners. I don’t know if they were going for a House-like theme, but with animals or if the network execs were on meth or what. Thank god this show was cancelled leaving Joanna Garcia free to go find her next awful project. Seriously, someone find that girl a new agent! I thought that the idea of a sitcom was to be funny. I understand that networks are probably looking for original concepts to put on their comedy blocks, but please take a look at the content before commissioning train wrecks! And don’t waste post-Olympic timeslots on shows that are bound to be cancelled! I wanted to like this, I really did! Terry O’Quinn is awesome. I love him since that ice skating movie, secretly liked him on Alias and blindly followed him all throughout Lost. As expected, he is also awesome in 666. He plays the devil like no one has since Ray Wise on Reaper. I also like the rest of the cast (Vanessa Williams, Dave Annabelle) and I love New York City, so I was ready for this show. However I couldn’t watch more than 2 episodes. It just feels like an American Horror Story wannabe. It is not creepy enough to be a true horror show and it is too weird to be anything else. Besides the scenes with Terry O’Quinn, pretty much everything else was unbearable to watch. I am being harder than usual on this show because I resent the fact that it is a cheap copy of the British masterpiece Sherlock. I really like Johnny Lee Miller and I think he makes a pretty good Sherlock, not as awesomely perfect as Benedict Cumberbatch, but good enough. Aside from the lack of originality, my problem with this show is that it is yet another CBS procedural cop show. I am bored with all CBS procedurals except for Person of Interest which I think is brilliant. Some other CBS shows are decent (The Mentalist, Blue Bloods) and I occasionally watch them mostly because I like the actors. 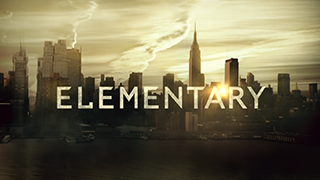 Elementary is not as awful as the rest of the shows on this list, but it is nothing extraordinary either. And it is almost like a misuse of the iconic name of Sherlock Holmes. This is just a detective show, with a corky detective solving unoriginal cases. Maybe if Sherlock didn’t exist we could even like this, but sadly Sherlock is out there and it is a perfect and inventive homage to the Arthur Conan Doyle books. Elementary is bound to fail in comparison. If you enjoy Sherlock Holmes and haven’t watch Sherlock yet, you should! It is on Netflix, Amazon and iTunes. I haven’t watch some of the new shows yet, I am hoping they aren’t as bad and I don’t have to come back and update this list.